Monitor and analyze all of your Google Apps accounts activity in one place, including login and administrative events. Monitor and analyze Admin, Drive, Login, and Token with pre-configured dashboards and searches. See login, activity, and sharing information across a wide range of variables. Get visibility into website visitor behavior patterns, monitor server operations, and troubleshoot issues spanning entire web server farms. 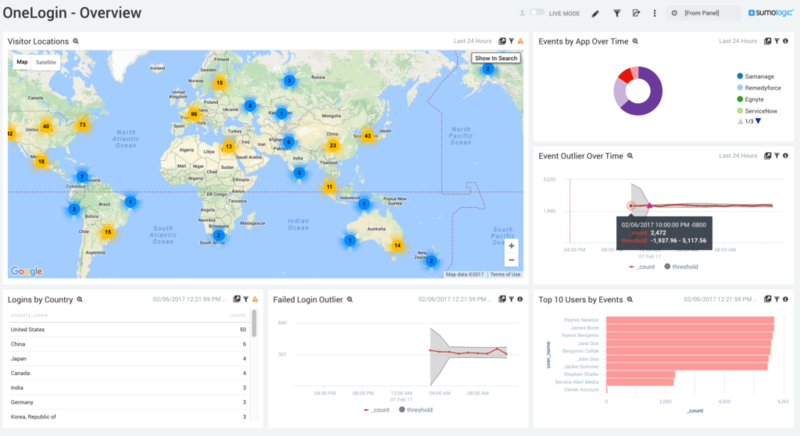 With the Sumo Logic App for Google Apps, you can take advantage of preconfigured searches and dashboards that provide insight into website visitor behavior patterns, monitor server operations, and assist in troubleshooting issues that span entire web server farms. 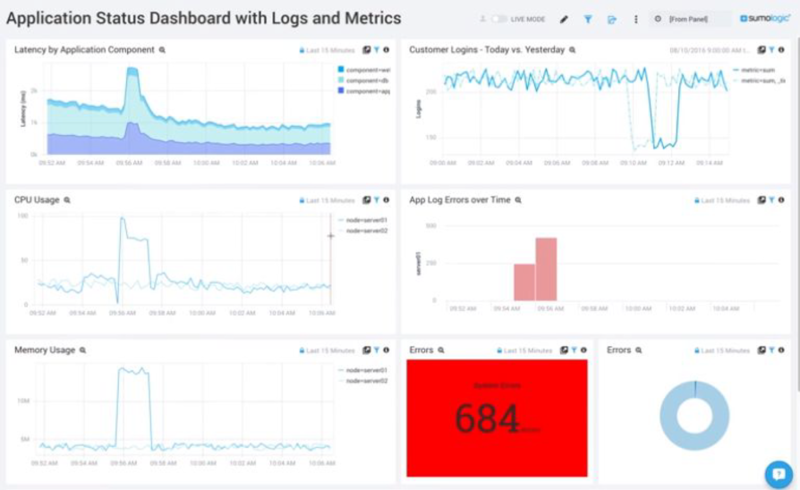 Google Apps monitoring with Sumo Logic includes wide-ranging preconfigured searches and dashboards, allowing you view and report on document flow diagrams, excessive login failures by user, login challenge for suspicious sign-ins, outside-of-company guests, password changes count, and other activities. 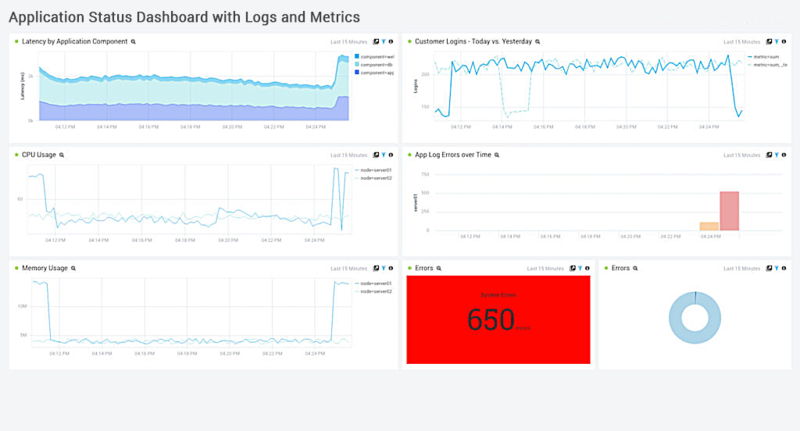 Sumo Logic integrates with Google Apps logs across the board. Each Google App has its own logs that are structurally similar and track actions in JSON format. There are differences, however, in the events section of the JSON where the actions are recorded.